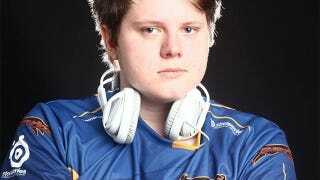 Marcel "Dexter" Feldkamp, a pro gamer on the League of Legends circuit, landed in Washington on Friday on the way to a tournament in California. It's as far as he got. As The Daily Dot first reported, Feldkamp was detained at Washington's Dulles International Airport. In a series of tweets, he says he first had his luggage searched, then his visa denied, then he even spent the night in a holding cell at the airport. Feldkamp's team, CLG, says they've got no idea why he was detained. As you may remember, prominent pro gamers can now get athlete visas to enter the US; Feldkamp was originally travelling under a waiver, like many folks can on short trips, but will now have to wait and see if an application for the more formal athletes visa is approved before returning. We contacted Feldkamp for comment and further information - specifically, why he was detained - and were told a statement via CLG is forthcoming.